I explained my reasoning for getting a BlackBerry Z30 smartphone in previous posts (Why Would I Ditch the Best Smartphone I've Ever Owned? and Why I Ordered a BlackBerry Z30, And Why The iPhone 5 Didn't Keep Me Hooked), and now that I've had a chance to use it as my daily driver for a week, I'm very happy with my choice. In fact, I think it's safe to say that it has dethroned the iPhone 5 and claimed the title of "Best Smartphone I've Owned To Date". I have now had extensive experience with all 4 major platforms within the span of less than a year. I owned a Samsung Galaxy Nexus (Android 4.2 Jelly Bean), switched from that to a Nokia Lumia 521 (Windows Phone 8) back in April 2013, then switched to an iPhone 5 (iOS 7) in July, and now have finally settled on the BlackBerry Z30. Having used the 4 major smartphone platforms recently as my go-to gadgets, and all within a short time of each other, I've had a good opportunity to assess the strengths and weaknesses of each and hone in on what I wanted in my ideal device. I like each platform for different reasons - if money were no object, I'd probably own a device from each of them. But since money is indeed a limited resource for average Joes like me, one at a time must suffice. I'll talk about each of these platforms, my experience with them, and why I currently prefer BlackBerry over them. 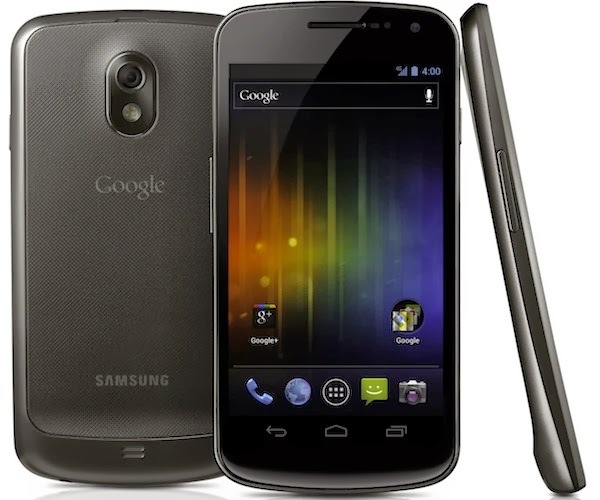 My most recent experience with Android was with my trusty Galaxy Nexus, which I ordered direct from Google. I liked it so much I actually kept it for a year before I decided I wanted to try something else. When it comes to technology a year is an eternity for me, so that says a lot about how much I liked my Gnex. My experience was positive overall. The phone and OS were responsive and robust enough. I've never been much into over-the-top customization, so I never really tinkered much with themes, launchers, or ROMs. I just want my devices to work, and work the Gnex did. Some of the things I liked about this phone were the screen (second only to my Z30 among the devices I've owned), the app selection, the integration with Google products and services, and I really liked the overall look and feel of it. Very slick and stylish, even by today's standards. Some of the things I didn't like so much were poor battery life, sometimes buggy or laggy OS, some of the paint wearing off of the plastic, abysmal external speaker. I am not a big fan of Google's business model. I understand they gather information about individuals - search and browsing habits, location, etc. - so they can serve targeted ads to them, and for many people that's a great thing and adds value to their lives. For me, the potential negative consequences of that information getting into the wrong hands outweighs any benefit I might get out of it. But I digress - that's a whole other discussion in and of itself. Suffice it to say, I prefer not to give Google any more information than it already has about me, whenever possible. I trust and respect BlackBerry, troubled as it is, more than Google. As a result of the above, I am not a heavy user of Google products and services and tend to prefer other providers in many cases. For example, I use Outlook.com for my personal email and calendar. (Yes, I know they scan emails, too. But they claim it's for virus scanning purposes only. And at least their core business model does not revolve around gathering as much information about me as possible.) So, the Google integration of Android devices doesn't do much for me. I want a device that helps me easily access and manage all my communication services, regardless of provider. My Z30 blows the competition away in that regard. While it has improved somewhat overall recently, fragmentation is still a very real concern for me. Even the Galaxy Nexus, which was sold by Google and was always among the first to receive OS updates, has already been orphaned a mere year and a half after it was released in North America. It will not receive the latest Android OS (4.4 Kit Kat). And with the vast amount of different manufacturers and devices running Android, many dependent on carriers for updates, many Android devices live and die with the same version of the OS they shipped with. Sure, you can always get a Nexus device, but if you use the Galaxy Nexus as precedent, you can expect it to be orphaned in a year and a half. BlackBerry controls both the hardware and software sides of their devices like Apple, so fragmentation and early orphaning should be minimal. It could be argued that BlackBerry as a company may not exist in a year in a half - and that is a very valid argument under the circumstances - but as of today BB10 is receiving regular updates, and with a new CEO, and infusion of cash, and management shakeups already underway, I'm cautiously optimistic that OS updates will keep coming from BlackBerry. When I decided I was done with Android, I wasn't sure what to get. In the back of my mind I always wanted an iPhone, but I had never tried Windows Phone and was hearing some good things about it. So when the Nokia Lumia 521 was first released - a T-Mobile exclusive at $129 (via Walmart) and no contract, I thought it would be the perfect opportunity to try the platform out with little risk. 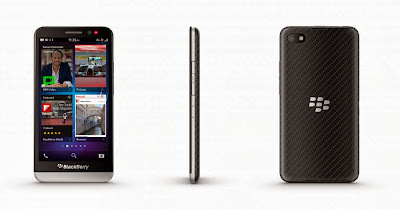 Now spec-wise, the 521 can't compete with the Galaxy Nexus, iPhone, or BlackBerry Z30. But what you do get for the price is a very good smartphone. 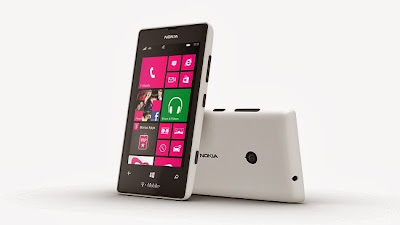 I actually consider the Lumia 521 to be the best entry-level smartphone on the market today. Considering its limited specs and hardware, the Windows Phone 8 OS ran very smoothly on the Lumia 521. I was actually quite surprised at how it seemed to handle transitioning from app to app without a hitch. Animations were smooth, and apps loaded up quickly. It had no front-facing camera, but the rear camera, though only 5 megapixels, took very good pictures. I actually had this phone on a trip to Arches National Park and took some pretty stunning photos with it. The OS was very intuitive and easy to use. In fact, if I were to recommend a smartphone to someone who had never used one before, I would probably steer them towards Windows Phone. Live tiles are good, but not enough. I have to hand it to Microsoft with the live tiles - they really are quite innovative and useful in many ways. But having to tap in and out of several different apps just to catch up on all my communications got rather old. And with no notification center, you just had to make sure all the live tiles you wanted to see notifications for first were grouped at the top of your home screen. For the average user, this probably isn't a big deal. For me, it is. And that's where the BlackBerry 10 Hub really outshines the rest. The OS seemed...incomplete. Like they hadn't fully fleshed out some features before releasing it to market. No file manager? Really? And I don't know whether it was my particular device or not, but it seemed to randomly reboot at least a couple times a week. That would be extremely frustrating if that happened during a call or doing something else important. Skimming some of the WP forums, it would seem I am not alone as far as my "buggy" experiences. I've only been using BB10 for a week, but it just seems much more stable and refined compared to my Windows Phone experience. I know Samsung and HTC have Windows Phone devices, as well, but Nokia is really the standard as far as Windows Phones go. People rant and rave over Nokia's quality and style. I'm sorry, but I just don't see it. I know my personal experience is with the entry-level model, but even the flagship devices I've had a chance to handle as I've shopped around seemed very "plasticky" and a bit too..."candy-ish". It's hard to put into words, but I'm just not impressed with or drawn to Nokia devices. I see BlackBerry devices right up there with iPhones in terms of build quality, polish, and style. You look at a BlackBerry and you know it means business. When I decided that Windows Phone wasn't for me, I knew it was time to try my first iPhone. I had an iPod Touch, and had used an iPad 2 in a prior job, so iOS wasn't totally foreign to me. And my wife had an iPhone 4 at the time. So I knew what I was getting into, but I wanted to really try the iPhone experience for myself. And it was great. 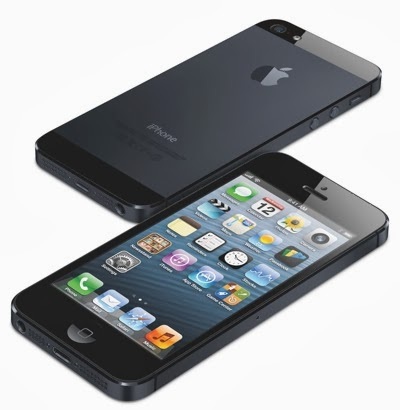 The iPhone 5 was my favorite smartphone before I got my Z30. It has so much going for it. Fantastic build quality and styling, apps galore, powerful and stable OS - the list could go on. But...for several reasons, the iPhone lost its appeal to me. So when I had a rare opportunity to get a new phone (since my wife wanted to come to my Verizon plan from another carrier and I planned to give her my iPhone 5), I didn't want an iPhone 5S. I talk about this in more detail in a previous post, but as great as the iPhone is, it just didn't keep me hooked. Dat screen. I didn't realize how much I missed having a larger screen until I used my Z30 for a day. I type so much better on my Z30 than my iPhone. I don't have huge thumbs, but the fantastic keyboard along with the larger screen really make a difference. And it's great to be able to see more of the websites I'm visiting and the apps I'm using. Better WiFi and LTE reception. I always seem to have at least one bar more on my Z30 than I did with my iPhone. I think iOS 7 is an improvement over 6, but there's nothing groundbreaking about it and it's still got that old icon-driven interface going. BlackBerry 10 Hub and Active Frames are a breath of fresh air when it comes to navigating apps and communications. The Galaxy Nexus was not my first smartphone. My very first smartphone was a LG Optimus V running Android 2.2. Ah, memories. And the BlackBerry Z30 is not my very first BlackBerry phone, because after the Optimus V, I decided to give the BlackBerry Curve 8530 a shot. From the time I got my Galaxy Nexus until I finally settled on my Z30, I kept wishing my phones had some of the features I came to really enjoy about my old Curve. The physical QWERTY keyboard was one of them, which is why I came very close to getting a BlackBerry Q10. But other little things, like the way I was able to easily manage all my communications, how I knew I had an unread message without even having to touch the phone (LED indicator), and even such features as "Phone Calls Only" were in the back of my mind as features I wanted in a smartphone, but were lacking in Android, Windows Phone, and iOS in one way or another. I avoided getting a BB10 device until now because I wasn't sure about BlackBerry as a company. My first and only tablet has been the BlackBerry PlayBook, which had so much potential and was doomed from Day 1 due to poor company management. I kept going back and forth as to whether or not I would ever get another BlackBerry device, but always nagging in the back of my mind was this thought that I might be missing out on a fantastic smartphone and that I really should give it a chance. A combination of things led me to finally go for the Z30. BlackBerry is under new management by a proven CEO. If he can't turn things around, I doubt anyone can. The upcoming BB10 OS version will support installation of Android APKs. In layman's terms, that means no more side-loading of Android apps. Just download and install. That is HUGE because a major reason many have avoided BB10 is lack of apps. And I was just plain curious! One week after getting my Z30, I'm asking myself why I didn't try BB10 sooner. The OS, for me, is the best of any I've used on any smartphone. You've got your standard app functionality like any other phone, but features like the Hub, Peek, and Active Frames make BB10 stand out above the rest. Think of the Hub as a unified inbox for everything: emails, texts, IMs, social media, etc. In BB10, this unified inbox is accessible with a simple gesture no matter what you are doing on the phone. The Peek feature allows you to glance at the hub to see what messages you have without having to stop what you're doing. If you want to catch up on your messages, the app you were in becomes an Active Frame - it doesn't close! It keeps running in real-time along with up to 7 other apps you've been using. The other 3 mobile platforms don't do real-time multi-tasking in this fashion. The fact that BB10 can do it without skimping on performance is very impressive. Other little things, from notification customization to my beloved "Phone Calls Only" feature really make BB10 a fantastic mobile OS that has what I want out of the box. And the hardware! The 5" HD screen is beautiful. Don't let the pixel density fool you. On paper it may look low compared to its Z10 cousin, but at normal viewing distance I can't see any graininess or quality issues. 1.7 GHz CPU and 2 GB of RAM ensure snappy and smooth operation. SD expansion up to 64 GB ensures I'll have plenty of space for my files. The external speakers are nothing short of astounding for a smartphone - the best I've heard. Battery life is unreal, and under moderate to heavy use you can get a full day out of it without needing a charge. If you use it fairly lightly you could easily get 2 days. Camera quality is above average - not the best, but certainly not horrible. Call quality is excellent, and it gets better WiFi and LTE reception than my iPhone 5 did. And that PlayBook I mentioned? Using a feature called BlackBerry Bridge, I can control my tablet from my phone, and I can access my phone's text and BBM messages from my tablet. There's a spark of life left in my trusty PlayBook, yet! Any apps I might use are just icing on the cake, for me. Lack of key apps is the biggest weakness of BB10, although it appears things might be turning a corner with that, finally. Native apps like Twitter, Facebook, and Skype are already well represented, but as soon as I get OS 10.2.1 I know I will be installing a few Android apps to fill out my collection. I know I still have a lot to learn about BB10 and how I can get the most out of it, but overall, the BlackBerry Z30 is an absolute joy to use and I consider it an upgrade in nearly every way from my iPhone 5. Its unique combination of hardware and software has come the closest to my ideal and made it my favorite of all of the smartphones I've owned to date. You hit the nail on the head. I absolutely feel the same way with the Z30. 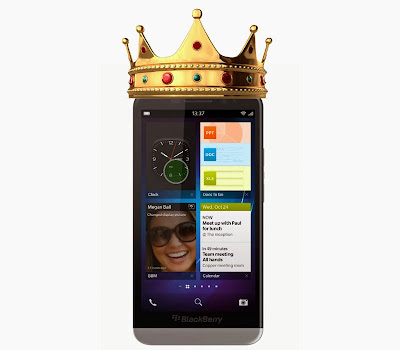 The BB10 platform is superior in every single way versus any other offerings to date. BBRY's new management need to push proper marketing, because many still don't now what a BB10 is. "The BB10 platform is superior in every single way versus any other offerings to date." You should be careful about claiming things like this. While I love my BB10 experience, I wouldn't say it is superior in EVERY SINGLE WAY to the others. There are still a few things I wish that BB10 had that BBOS did...like "mark prior read" or give an option to write on someone's wall when the birthday reminder comes up. I agree regarding the marketing...that is vital and certainly lacking currently. My Z30 is rock solid and I have converted a few iphone people over to BB10. I am running the leaked version and there is so many little things coming it is crazy. Marked prior read is now built into the OS. Chen will do good I think.